William T. Sha first proposed the novel porous media formulation in an article in Nuclear Engineering and Design in 1980. The novel porous media formulation represented a new, flexible and unified approach to solve real-world engineering problems. It uses the concept of volume porosity, directional surface porosities, distributed resistance and distributed heat source and sink. Most practical engineering problems involve many complex shapes and sizes of solid internal structures whose distributed resistance is impossible to quantify accurately. The concept of directional surface porosities eliminates the sole reliance on empirical estimation of the distributed resistance of complex-shaped structures often involved in the analysis. The directional surface porosities thus greatly improve the resolution and modeling accuracy and facilitate mock-ups of numerical simulation models of real engineering systems. 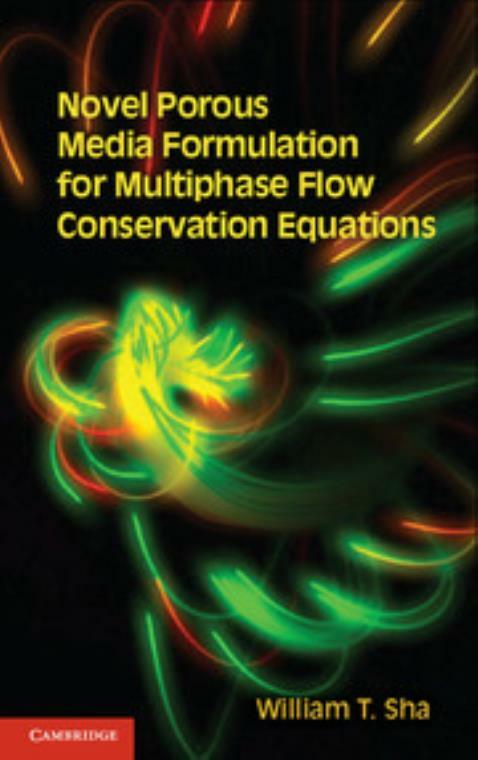 Both the continuum and conventional porous media formulations are subsets of the novel porous media formulation. 8. Discussion and concluding remarks. Dr William T. Sha is formerly a senior scientist at Argonne National Laboratory and the former Director of the Analytic Thermal Hydraulic Research Program and the Multiphase Flow Research Institute. He has published over 290 papers, primarily in the field of thermal hydraulics. He is the recipient of many awards, including the 2005 Technical Achievement Award from the Thermal Hydraulic Division (THD) of the American Nuclear Society (ANS), the 2006 Glenn T. Seaborg Medal, the 2007 Samuel Untermyer II Medal and the 2008 Reactor Technology Award, all from the ANS.